Grand Master Choa Kok Sui, through his research and experiments, conceptualized a comprehensive method that helps in cleansing and energizing the energy system which pervades the physical body, thus accelerating the rate at which the body can heal itself. Through his teachings and practical application of Pranic Healing, he demonstrated that energy is an important factor in healing not only the physical being but also the psyche. GMCKS' in-depth study of ancient esoteric sciences had led him to discover and develop practical healing techniques significant to man's physical health and well-being, as well as to boost his spiritual potential. The study of Prana had been the domain of a select few in previous centuries. Today, in its modern version, even the young can grasp its basic concepts, and the fresh learner can both avail of and utilize its healing advantages. These simple brilliant techniques of healing have immense power to bring well-being to every household all across the world. 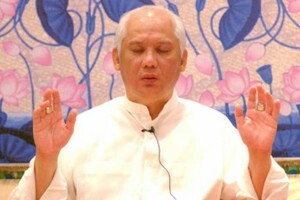 Most of GMCKS' spiritual experiments were conducted along with his clairvoyant friends, Mang Nenet and Mang Mike who observed and monitored the procedure and the results of these experiments. Based on his experiments, Master Choa Kok Sui conceptualized, formulated and developed Modern Pranic Healing, as we know it today. His concepts, principles, techniques and methodologies were the result of the synthesis of deep intellectual understanding and wise intuition.